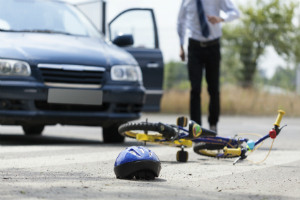 Accidents are the biggest killer of children and young people in the UK and cause thousands of serious injuries to them every year, from road traffic accidents to playground falls. The specialist child injury solicitors at Bolt Burdon Kemp recognise that often the injuries sustained by children have life-long implications which may not always be obvious at the outset. This is particularly true where the child has suffered a brain injury for example. Once a compensation claim is settled, it is not generally possible to open it up again should complications arise in the future. Therefore it is important that a child’s personal injury claim and the implications on their life are fully investigated to ensure that the child is fully compensated for their personal injury. In order to fully investigate your child’s claim, we will instruct the best experts to provide evidence. This could include educational psychologists to report on the impact of any missed schooling and occupational therapists to advise on the need for aids or equipment to make life as easy as possible for a seriously injured child. At times, this may also mean delaying final negotiations with the opponent to conclude the compensation claim until the child stops growing, although we will seek interim payments of compensation early and regularly throughout the case to meet the child’s immediate needs. In the eyes of the law, a person is considered to be a minor until he or she reaches the age of 18. In order to protect children who have suffered personal injuries and bring claims for compensation, the law provides special rules and procedures. It is therefore important to instruct a specialist solicitor who deals with child accident compensation claims. At Bolt Burdon Kemp, our expert solicitors have the specialist knowledge and experience required to act in all personal injury cases involving children. We have particular expertise in cases where the child has suffered a brain injury. We provide clear and accurate advice as well as support, whilst also obtaining maximum compensation for your injured child. At Bolt Burdon Kemp we have over 25 years experience of representing both adults and children who have suffered serious personal injury. We are recognised as one of the leading firms in this area by the independent Chambers and Partners and the Legal 500.